We looked at the top 1 Ice Cream Makers and dug through the reviews from 10 of the most popular review sites including BestReviews, Foodal, The Kitchn, Your Best Digs, Good Housekeeping, At Home Dad, Serious Eats, Dream Scoops, Baking Bites and more. Through this analysis, we've determined the best Ice Cream Maker you should buy. In our analysis of 88 expert reviews, the Cuisinart Cuisinart Ice Cream Maker placed 5th when we looked at the top 9 products in the category. For the full ranking, see below. Completely automatic unit. Includes a paddle for gelato and a separate paddle for ice cream. Keeps ice cream cool even 10 minutes after the machine has finished. This unit has a smart, professional appearance in a brushed stainless steel and black plastic housing unit – and will add a contemporary aesthetic to any kitchen. 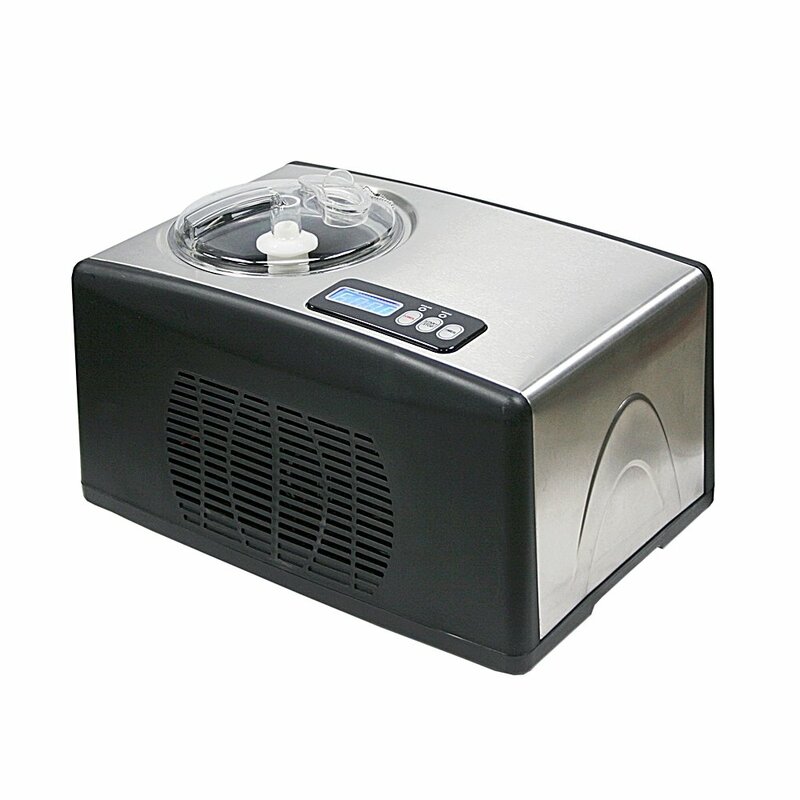 The built-in compressor runs on 120 volts and 2.4 amps that provides fast and even freezing for consistent texture, and the power to produce several superb batches without any motor strain or overheating. It’s a piece of cake to use and clean up, so all you have to think about is what kind of flavors you want to play with. 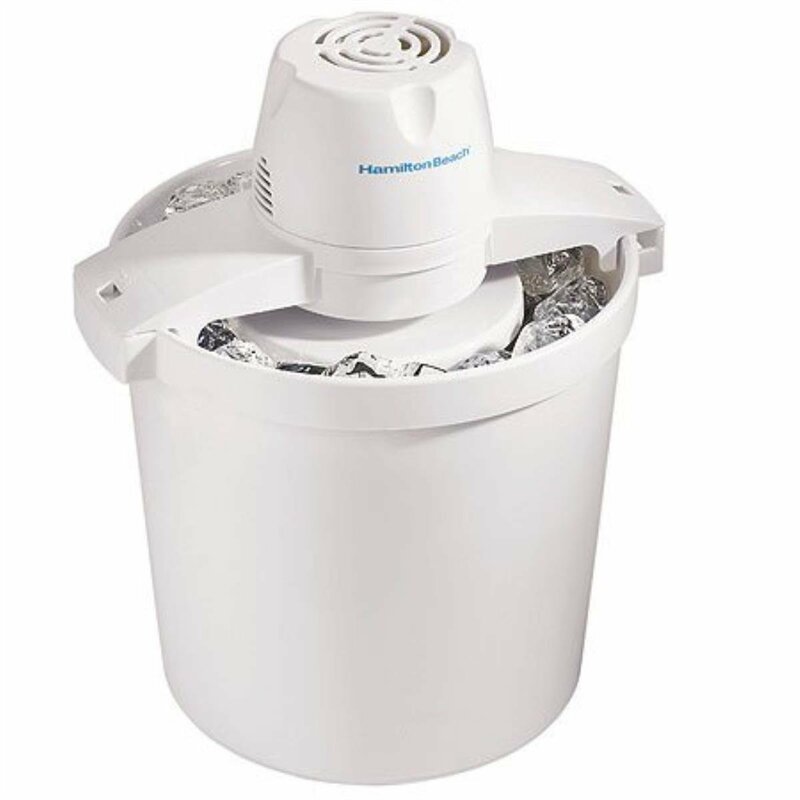 The ICE-100 is easy to use and after a quick wipe-down of the removable bucket and dasher, you can start making ice cream (as long as you have the mixture ready) with the unit straight out of the box. The ICE-100 has only three functions on its touchpad control: on/off, start/stop and a programmable LCD timer. Easy to assemble and use. No pre-freezing required and it stops automatically if motor overheats. Thorough manual, plus unit comes with many recipes for ice cream and other frozen treats. These machines house their own freezer mechanism, so there's no need for you to pre-freeze a bowl, use rock salt, mix the batter by hand, or do any other hard work, other than deciding which delicious ice cream, gelato, or sorbet recipe you want to make. The ICE-100 also comes with 2 different mixing paddles. One is for gelato and sorbet and one is dedicated just for ice cream. This added versatility is something that owners also praise. The looks and styling are also a little more modern than some of their other models. With a stainless steel body, LED buttons and an LCD screen, this machine fits in nicely into any type of kitchen. 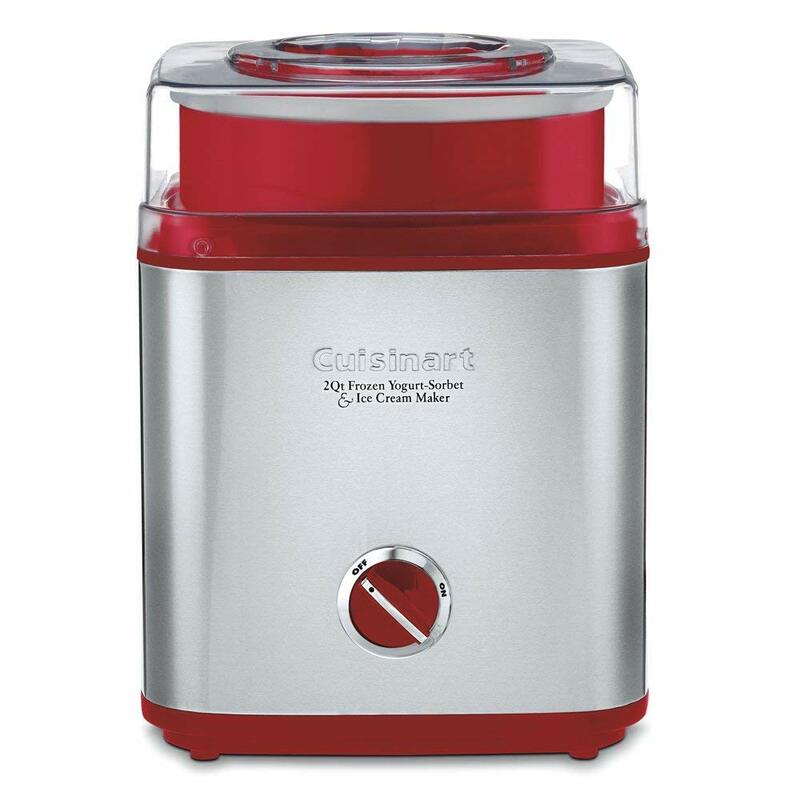 This model from Cuisinart has a compressor that chills the ice cream base without the need to pre-freeze an insert or use a mixture of salt and ice. That means you can churn back-to-back batches of ice cream at a moment’s notice; there’s no need to plan ahead and chill a canister or worry about freezer space. 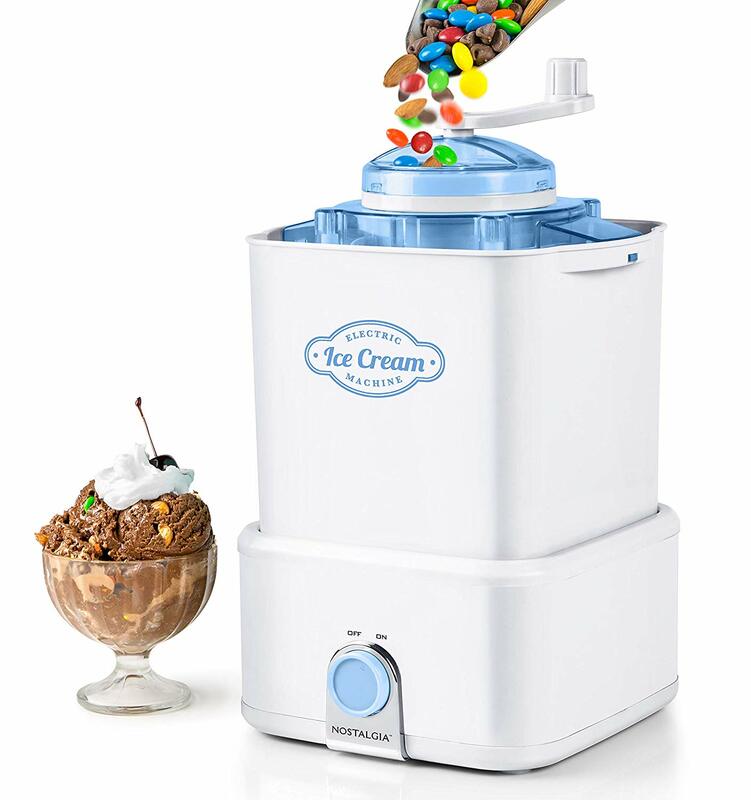 A batch of ice cream takes 40 minutes on average to churn, and there is also a "Cool" function which will hold the ice cream for up to ten minutes. Just like our top canister Cuisinart pick, this model also features a minimalist design and simple operation. The interface includes three buttons; one to turn the unit off and on, one to set the churning time, and another to start churning. By default, the timer sets to 60 minutes, but it is easily adjustable to your desired churn time and churning can be stopped at any time. The locking lid has clearly marked arrows making it quick to attach and remove. 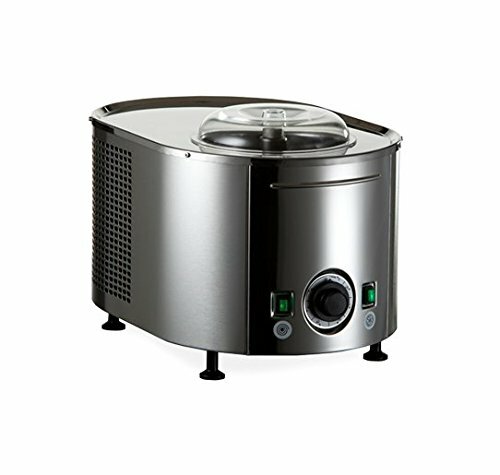 I think the ICE-100 is the only compressor ice cream maker with a 3 year warranty. All the other I've looked at have 1 year warranties. This is important as compressors are delicate and it's not unknown for them to stop working properly. A 3 year warranty gives you peace of mind. Another big improvement over the older model is how much quieter this one is. While it does make noise the whole time the compressor is on, you can still hold a conversation without yelling or watch tv without cranking the volume way up. It seems to be about 70% quieter (in my unscientific estimation). 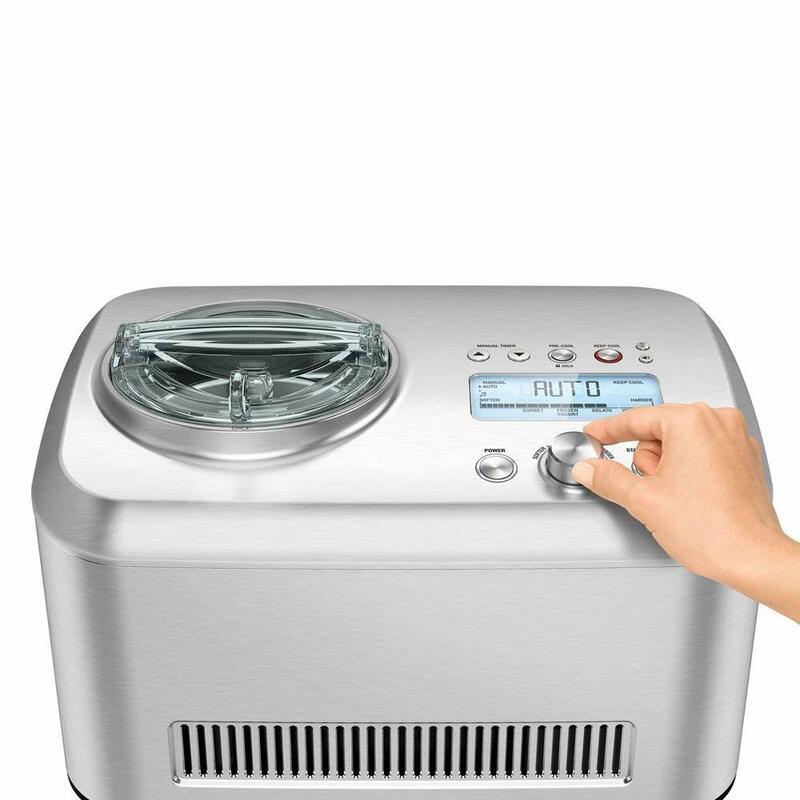 It also has a “keep cool” feature that will keep your ice cream frozen after churning if you aren’t able to take it out of the machine right away. Many buyers have issues with the customer service offered by the manufacturer. The only other critical note is about cleaning the drive shaft and drive plate on the underside of the bowl, with a few reviewers complaining about a build-up of gunk. And there’s the usual mixed bag about noise levels – one person wrote that it’s similar to industrial machinery and ear protection should be worn, and others find the noise for the work performed to be quite acceptable. t’s big and heavy, and it has to be kept upright when moved or stored. The ice cream improves dramatically when the base is chilled overnight, so it doesn’t necessarily save time over a canister model. 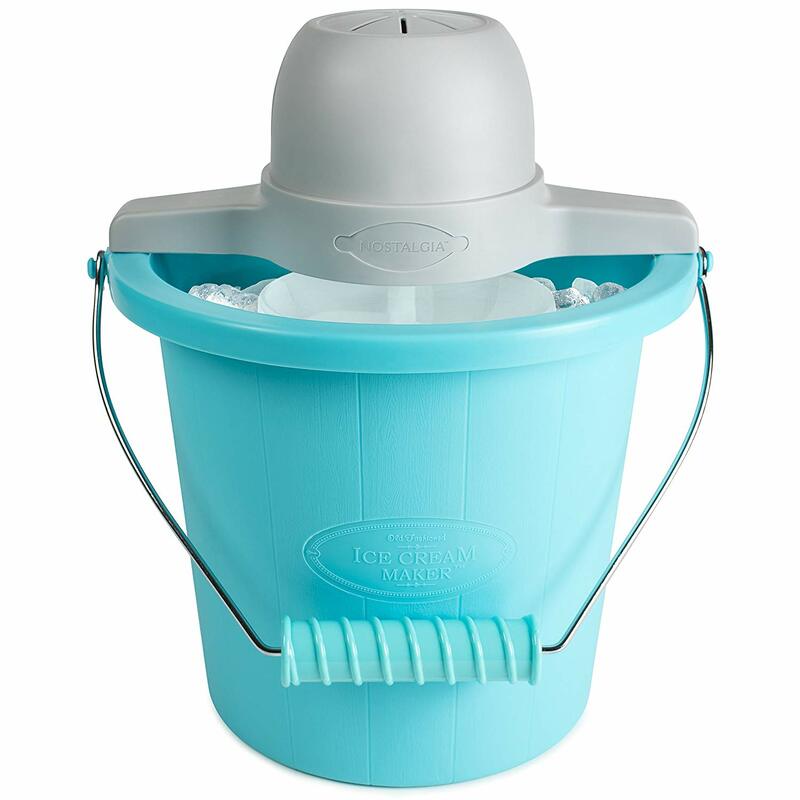 The ICE-100 is about the same size as the Whynter, yet it makes somewhat less ice cream (1.5 quarts) and it doesn’t have a spout for add-ins. But in spite of all the bells and whistles, it didn't make impressive ice cream and sorbet. Plus, the unit is bulky and expensive. Expensive, it takes up storage space and some complaints of machine not working. Pricey, heavy and parts not recommended for dishwasher. 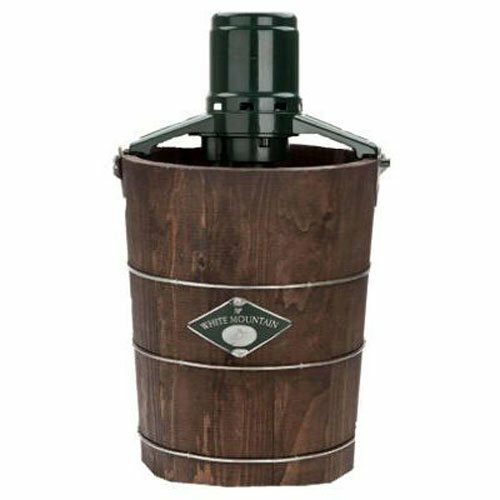 The model comes equipped with two paddles, one for gelato bases and another that is supposed to incorporate more air into ice cream bases. After making batches of high- and low-fat ice cream with both paddles, we found that they created ice creams with equal textures and overrun. In our testing, we found no difference between the results of the paddles. Also, both paddles have high, squared shoulders where ice cream would get stuck, which required stopping the machine intermittently and scraping the ice cream back into the bowl for even churning. With such limited functionality (Power, Start/Stop, Timer), you'd think the interface would be straightforward to use. But setting the timer is a pain. Before you start the machine, you can only adjust it downwards. You can't adjust it at all while the machine is running. And when the machine is paused, you can only increase it. The way it handles larger, 5 minute timer adjustments is also annoying. Make decadent ice cream, rich creamy gelato and light sorbet that your family will love, all in the comfort of your own home. 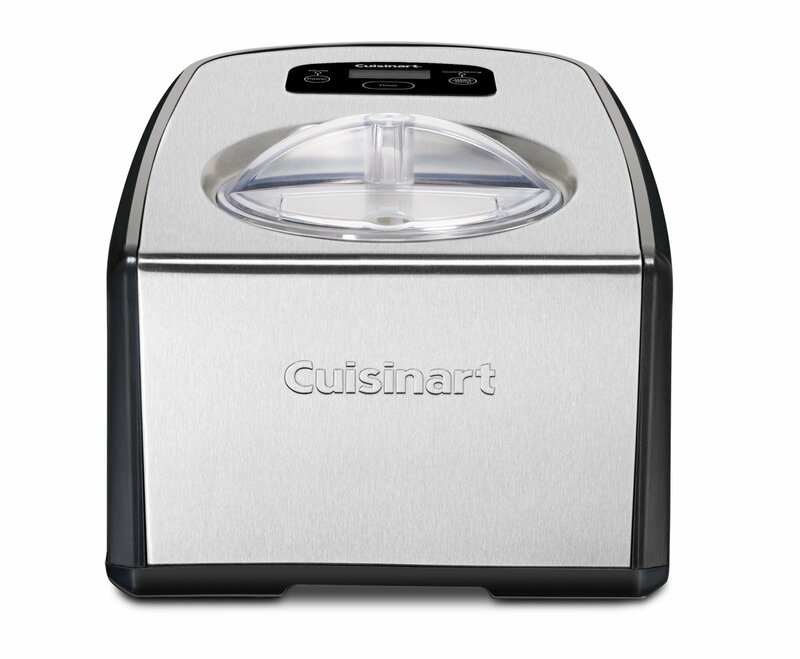 The easy to use, fully automatic Cuisinart ICE-100 Ice Cream and Gelato Maker features a commercial-style compressor so you can make batch after batch without waiting. Two unique mixing paddles and a 60-minute countdown timer work to ensure your homemade gelato, ice cream or sorbet has the perfect consistency. The included recipe book features a variety of flavors to create with the Cuisinart Ice Cream and Gelato Maker. You can also add in your favorite ingredients -- be it fresh fruits, chocolate chunks, even brownies -- during the mixing process through the see-through lid to make a fabulous frozen treat. Once the timer countdown is complete, the 10-minute Keep Cool cycle begins to keep your ice cream or gelato nice and cool. For optimum consistency, transfer the mixture to an airtight container and chill for a minimum of 2 hours.